The convention hall is packed with a crowd of 5000 young Delhi University students and teachers. The emcee has announced the next guest on stage, and the crowd is getting restless. “I feel like a small-time opening performer just before the main act of the evening”, the emcee admits, noticing the lukewarm response to his shenanigans to an audience that would rather just get on with it already. On he comes, and the whole hall ruptures with excited oohs, claps, woots and mostly broad smiles. Dressed in a simple purple sweater and jeans, he takes a seat and casts a quick glance at the hordes of star-struck people around, probably a bit taken aback by the fawning reaction he’s received. He’s no Bollywood star. He isn’t even a demigod cricketer. He’s the nerdy-looking 43 year old CEO of a tech company. He’s Sundar Pichai, on a maiden visit to his native country after being recently appointed CEO of Google. 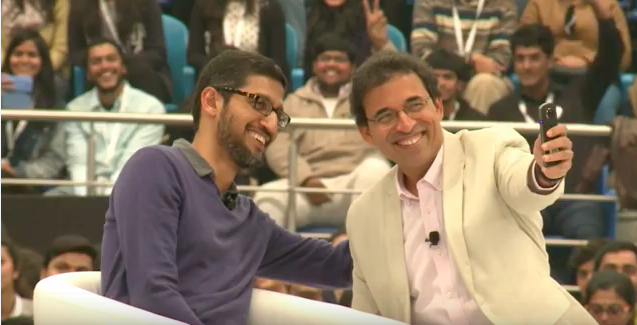 The emcee is Harsha Bhogale, a celebrity himself, full of fanboy-like gushing words for Pichai. Bhogle was right when he said that “tech stars are the new stars in India”, a country which has venerated Bollywood stars for the longest time. Times, they’re a changin’. Everyday, inspirational stories of tech founders, entrepreneurs, CEOs are consumed, shared and applauded across the internet more than movie trailers and quotes by a Shahrukh Khan. Party conversations are no longer only about sordid affairs in Bollywood, cricket scores or your neighbour’s spanking new car. While mass appeal is still the stronghold of Bollywood, India has a new muse, new face to look up to in the entrepreneur. India’s young CEOs and startup founders are basking in a new-found glory, reminiscent of a Steve Jobs, the original cult CEO from the world of technology and business. The fact that a Rahul Yadav, erstwhile CEO of Housing, and every move of his, his run-ins with the media, his ouster from the company he co-founded, his Reddit AMA, even him finding himself a love interest, possibly have grabbed more primetime attention than the latest Salman Khan blockbuster is a testimony to this paradigm shift. This article on “Quotes by startup founders” , instead of by famous people from history, published by mainstream entertainment website Scoopwhoop going viral is probably emblematic of this transition. The roaring success of the web-series TVF pitchers that centres around the life of 4 startup founders is a glaring sign that India, fatigued by the regular saas-bahu sagas and larger than life romance drama, has long needed to see stories of real life heroes, of matters that matter to the average, ambitious young person. “Wherever I go, people are wanting to click selfies with me. And I don’t mind it. 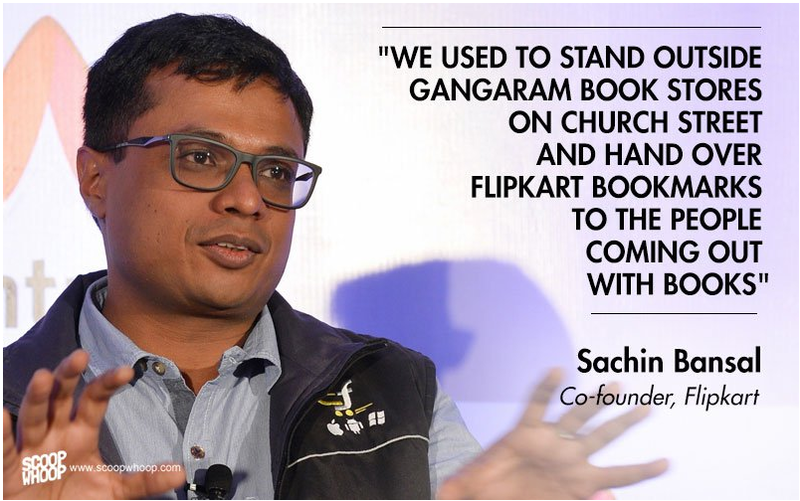 Maybe my story inspires and motivates them to do something.”, Freecharge CEO Kunal Shah recently said in an interview with Officechai. 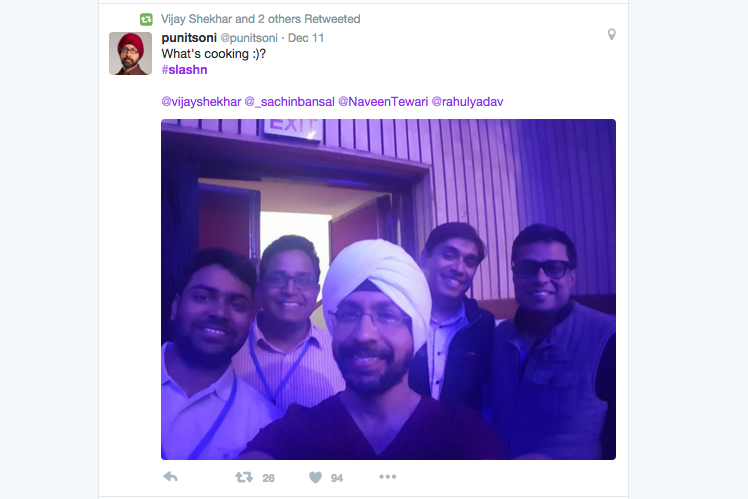 While these new-age CEOs may not have the millions of followers on Twitter like a Shahrukh or Virat Kohli, that a selfie featuring some of India’s most prominent names of the startup world could elicit this kind of interest, was unthinkable a few years ago. 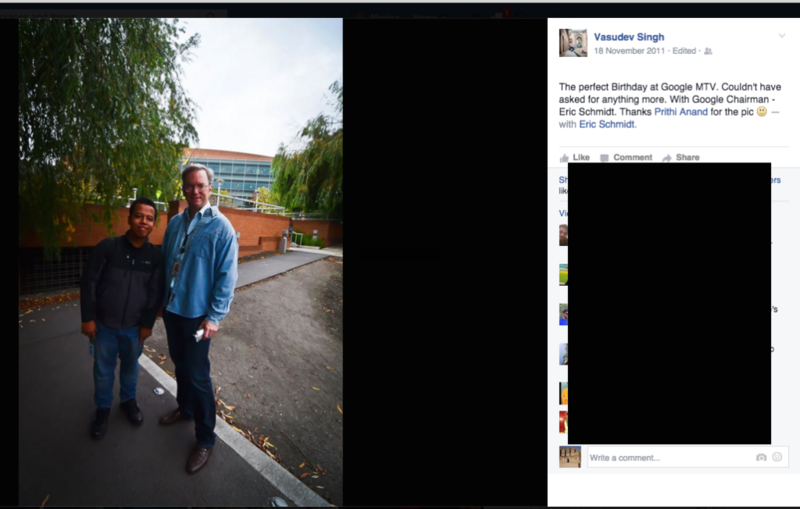 Here’s a Google employee, who considers his birthday “to have been perfect” after he gets to pose with Eric Schmidt, then CEO of Google. When was the last time, a young 20 something urban Indian, showed an interest in the private life of say, a Ratan Tata or even knew who headed a TCS, India’s biggest IT services provider, I wonder. The new age urban Indian is however keeping track of the latest in the world of startups, and discusses startup fundings and valuations more often than the box office collections of a Bollywood biggie. 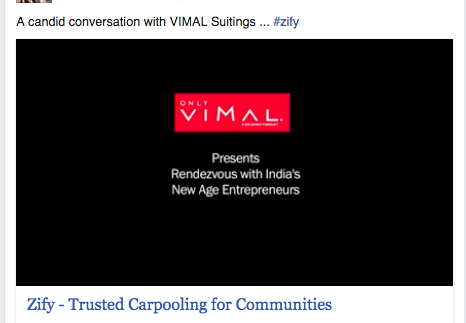 So much so that a rather curious group is now cashing in on this new startup cult wave. Brands are now creating special content to feature the startup celebs, not your regular ramp model or the big Bollywood celebrity, as a marketing hook. And maybe the winds of change are moving in the right direction. A country where actors and cricket players are worshipped, politics are caricatured, a new wave of celebrity is emerging. These are the people who were neither born privileged not scored on their looks. (Though, I must admit, some of them are quite model-like!) They represent the hopes and ambitions of the common Indian. That with enough grit, hard work and determination, it’s possible to become an entrepreneur, a star. That it’s not a fleeting moment of laughter, inane entertainment or fashion, but it’s science, innovation, and enterprise that the society needs and benefits more from. Here are the people who will put India on the global map, create jobs, and hopefully, take us from being a third world country to one which is recognised the world over. Here’s to an India that’s evolved, from one that lived in the fantasy that movie stars created, to one that’s energised by the hope the entrepreneurs and the CEOs have inspired. Entrepreneurship is the new cool. 15 Prominent Indian Celebrities Who Have Turned Entrepreneurs Google CEO Sundar Pichai Comes To India Bearing Good News Here’s A Startup That’s Trying To Solve Bangalore’s Biggest Problem I Ordered From 18 Different Food Tech Startups At Office 9 Great Examples Of When Companies Ate The Humble Pie Like A Boss How We Lost Rs 15,00,000 In Our Startup How A Chennai Boy Ended Up Becoming The CEO Of Google Online Startups Turn To Outdoor Advertising These 7 Amazing People Fought Their Disabilities & Rose To Top The Most Badass Quitting Video. Ever.